There have been quite a few new members in the last couple of months and I thought it might be a nice idea for all the 'unknown' members to introduce themselves and their Briards. So go on, tell us about yourself and your Briard! Well I thought I might start this off as it would be nice to hear from some other new members. I did already post an introduction a while back but thought I'd update you a bit on life in France. We (myself, husband and two children aged 9 and 7, three cats and of course Claude, now six months) have lived here for 18 months and absolutely love it! Myself and my husband Dave both work from home. Claude has really settled down recently - all the training so far seems to be paying off and he's really pretty good. He's stopped trying to eat our clothes, steal from the washing machine or tumble dryer (if somebody forgets to close the door) and hasn't jumped up to steal from the work top for a while now. Not that I'd trust him enough to leave anything tempting out for him to get. He does still however try to pull our son's trousers down if he thinks nobody is looking but he now only chases the cats if they tease him and seems to have realised that they're not cuddly toys for chewing and throwing up in the air for fun. They torment him dreadfully - walking slowly past him and then when they've got his attention darting up the nearest tree. We're being really firm and consistent with him (avid fans of the dog whisperer) and he's so eager to please that he is learning so fast. He responds so well to firm but kind training and realises when he gets a reward what fun this new activity can be. 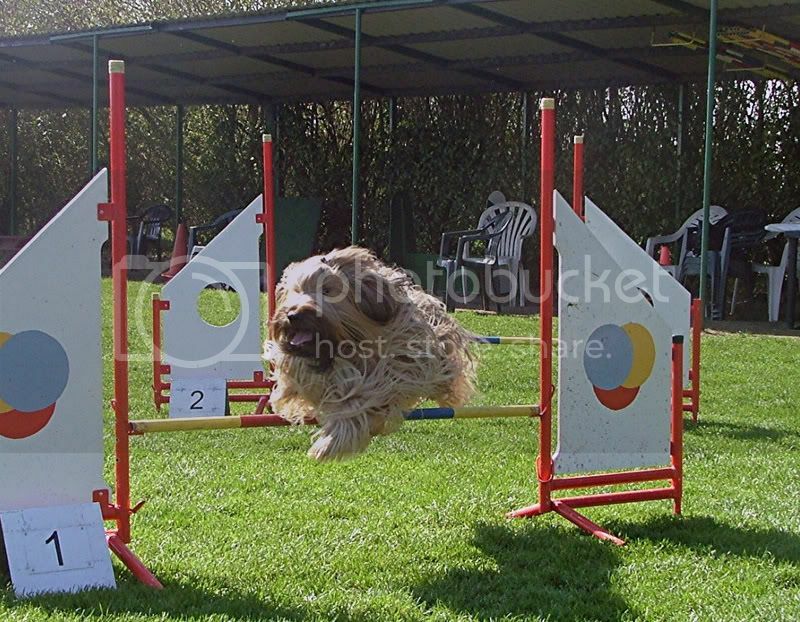 I really want to start agility with him and have found two clubs near here which I'm going to go and have a look at over the next couple of weeks. Our daughter is 9 and is fantastic with Claude, she's taught him so many new things. Not particularly useful things but both she and Claude enjoy the interaction. Claude is our first Briard and I have to say, although devoted to the dogs we've had before, we totally adore Claude and although we've only had him since October, we just can't imagine life without him. He's a lucky boy as we're here most of the time and he comes with us wherever we go. Most of our friends here in France have dogs and so are more than happy for Claude to come with us when we visit. We now have so many offers from friends saying 'if you ever need to go away, we'll have him for you'. Reading the thread about Briards wanting to go back to bed after breakfast made me laugh so much. Claude doesn't even get up in the morning, he waits until the kids have gone to school and then staggers out of his bed, stretches, I take him outside, he comes back in for breakfast and then lies by my feet all morning snoring while I work. He moves only if I do. So if I get up to make a coffee, he comes with me, to the loo, he follows and then is straight back to sleep. However, if you mention going for a walk - he's up like a shot waiting by the door!!! I've just realised I've waffled on a bit - but hope that gives you a little insight into life with Claude!! Wonderful insight into your life with Claude - he's a very lucky pooch! What a great introduction. It sounds like you and Claude have a great time in France. Millie when she was about the same age used to pull our sons jeans all the time. She thought it was great fun. Enjoy him. Hi we're Richard and Chelle, and we're from Birmingham. We have literally just joined and think your sight is brilliant! We do not own a Briard (yet! ), but have fallen in absolute love with them. Searching Youtube for films (which there are so many!) and reading as much information as possible. Which is where we discovered you guys! Fortunately we are very patient and want to learn as much about the breed as possible before we commit, and we want to make sure we can provide the best possible life for our new addition to the family if (and when hopefully!) the time is right. We look forward to chating to you all in future. welcome to the wonderful and sometimes chaotic world of the briard. How refreshing to read that you are prepared to wait, read, watch and learn as much about this crazy and wonderful breed. I hope it wont be too long before you have a new addition to your family!! Thanks guys! It really is a wonderful sight you can spend hours in here and not realise the time! Welcome, welcome! 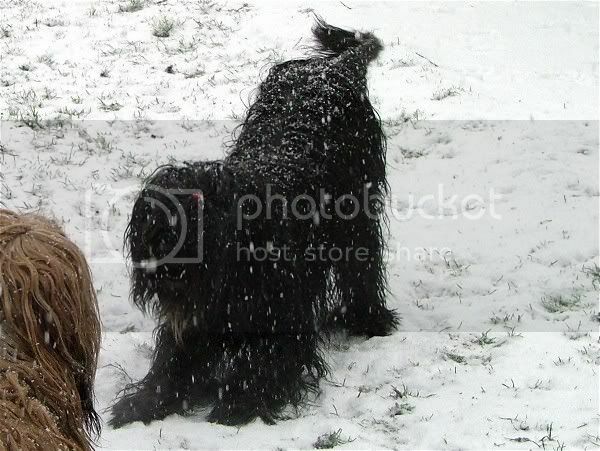 My briard, Ivy, sends you both a big lick on the nose! Hi Emme and Ivy, thanks for the lick on the nose! We would love to come to the Briard-a-thon in london, and hopefully will be able to go! It will be great to meet everyone! Would we need to bring anything? Hi and welcome to the site we live quite close to you so if you would like to see our dogs you are welcome.We have three Briards. Welcome to the world of Briards. I also live not far from you, in Brownhills, and you would be more than welcome to pop in for a cuppa and meet my 3 hairies. Also there is a fun weekend in Bickenhill, arranged by the British Briard Club, at the beginning of August, where you'll recieve a warm welcome, and if last year is anything to go by, it's great fun. Welcome to the forum.... we hope you enjoy reading the posts & hope you find it informative & interesting. Thanks everyone for such a warm welcome. This really is the "Friendly" Briard Club!!!! Hi I'm Annette and live just outside of Glasgow with my fabulous boy Harry. I've had Harry for just over 2 years now and he really is a heart wrapped in fur. I'm not aware of any other Briard owners close to where I live but would love to meet up with other Briard owners and for Harry to have some fun. The Briard a thon sounds fantastic.... I only wish we had something similar in Scotland as Harry and I would definately be there. Just one week to go before my husband Tim and I pick up our lovely puppy Nero from the breeders! I feel like a child counting down to Xmas... We are a couple of New Zealanders, now living in Manchester. The wonderful world of briards is fairly new to us, but after much research and some quality time spent with the gang at Arrowflec Briards we're sure this is the breed for us. Anyhoo, I just thought I pop in and say hello - it's good to know there is a friendly forum full of great people with plenty of advice to give. I must confess, I feel a bit like a first-time parent, already worried about inoculations and our boy's first day at (obedience) school! 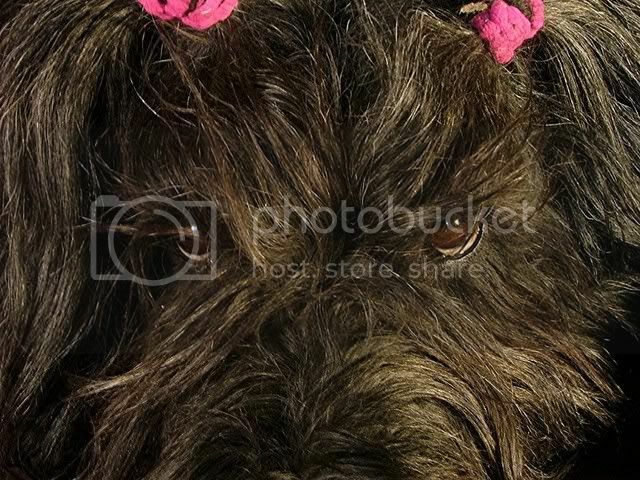 I'm very sorry that we won't be up and running for the forthcoming Briard-a-thon - it sounds like fun! But hopefully in the future we'll get the chance to meet with many of you (and your beautiful briards!) in person. hope you are enjoying yourself over there??? It would be great i you come this way again with Nero lol as you can imagine there arent all that many briards here in NZ. Many thanks for your warm welcome - it is much appreciated! I'm glad your friends are enjoying NZ, it is a beautiful place. I come from Christchurch, where I lived literally on the beach - I can't help wishing Nero could've seen it, I'm sure he'd love it there! Tim is from Wellington (also a fabulous city, I'm sure he'd add). And without doubt, there will be many photos of Nero to come - I'm sure I'll go crazy to begin with - you'll all have to tell me to stop posting! Glad to hear youre so excited about getting your new baby Briard... i hope you have many happy years together. jealous of hearing where you used to live we would love to move near the beach one day...wont be anything like you had though i dont expect. Bit of a change in manchester!? Indeed, I'm sure I've never seen a briard in NZ - Gav, you will just have to fly the flag for us until we return, lol! If only it were easy to take dogs on holiday half way round the world. As I say, I'm sure Nero would have a blast on NZ's beautiful beaches. But the UK is fabulous too! We are really looking forward to taking Nero for walks in the spectacular Peak District and in the grounds of all the amazing historic homes over here. We might even try to find a few local-ish beaches to romp about on. Cross fingers! a very furry greeting to you both I am getting really broody with all these lucky people waiting to collect their little hearts wrapped in fur!! Welcome Tim and Roz and good luck with your puppy.You wont regret choosing a Briard. Thank you all for your good wishes. We will absolutely enjoy our lovely briard - just 7 sleeps to go! My name is Michel, I am teaching in a beautiful French island named Corsica. As for now, I have no Briard accompanying me fulltime, but everytime I go back to my parents'home in western Pyrenees, I am warmly welcomed by Mirza, born in 1996, our second Briard, a black one, after Vega (1984-1996), a fawn one, both females. I am eager to have a Briard on my own but have to be a little patient in order to offer him or her the best possible environment. 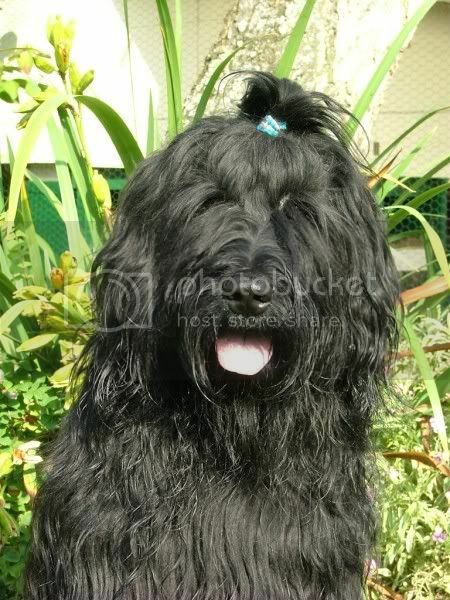 Bonjour Michel et bienvenue a Friendly Briard Club. Je suis anglaise, j'ai deux briards qui s'appellent Asti (noir) et Tiff (favue). Thank you for this welcome! Welcome everyone - lovely to hear a bit about all your backgrounds. welcome everybody to the website danni and co.
My name is Jacqueline but everyone calls me Sjaakje (unpronounsable for the English-speakers ). I'm 39 years old and I live in the south-west of Holland with my husband, 3 Briards, a cat, a lot of chickens and a vieuw pigeons. From 1996 I'm a Briardowner, I live the Briard-life you could say . 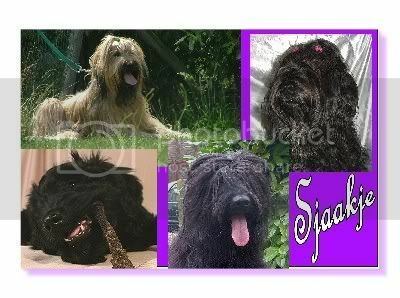 The Briards take a very big part of my life, they are so wonderfull, sweet, silly and lovable. My husband trains agility with 2 of the dogs, the third he wil take next year for some agilitytraining. Maby I make some mistakes with the English language, I'm sorry but i've only got English lessons in highschool. I hope you can understand what I'm saying and if not please ask me to be more specified. She's a very, very, very sweet girl, never doing any bad things and for a Briard reasanebally calm. Hugging is her life, whenever she is with me everything is allright. Lola, born in 2002, she's a mini-Briard . 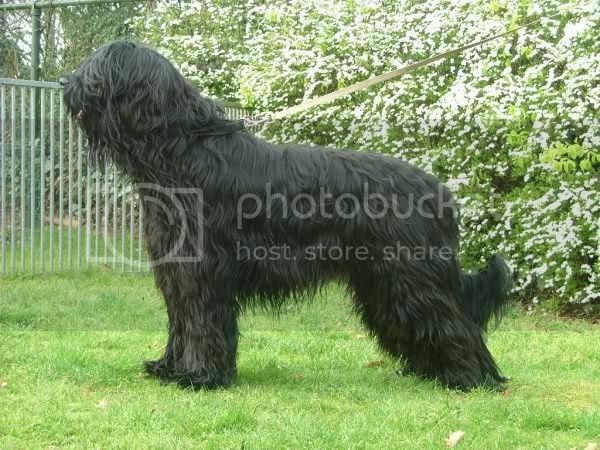 Lola is 2 cm's shorter than a Briard has to be, thats why we call her 'mini'. She has a very big heart, she dare's to take a risk at all time's. 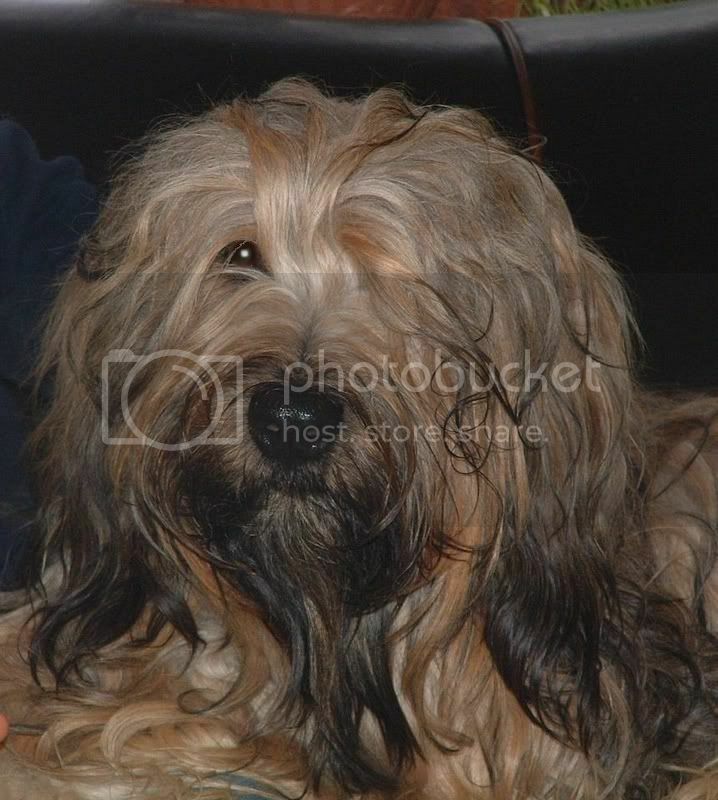 BamBam, born in 2006 and he's our maxi-Briard, hahaha. BamBam is a big guy who loves to play, run and like's to put his nose everywhere it doesn't belong! My husband does a lote of home-improvement and BamBam is always at his site when he does that. At the moment BamBam has soms paint in his tail, he was helping the boss, hahaha. Unfortunedley BamBam does not like strangers, that makes it difficult sometimes but for us he is a big friend. 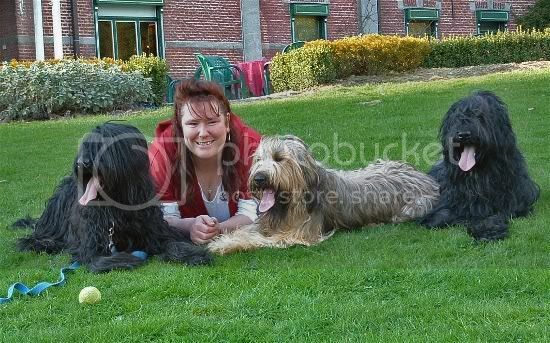 Oh, and this is me with Billy, my first Briard (RIP 2006) , Cherie and Lola. I hope that you have an idea of us who we are!